land | Live Healthy S.C. This is the second of a series of blog posts recognizing winners of the 2016 Champions of the Environment awards. One of the greatest motivations of caring for our planet is that future generations can enjoy nature, its cycles, and its biodiversity, among other things and environmental education is the greatest tool for this purpose, especially in times when climate change is jeopardizing the balance of the environment. Environmental education, in addition to generating awareness and solutions relevant to current environmental problems caused by human activities and the effects of the relationship between man and the environment, is a pedagogical mechanism that also infuses the interaction that exists within ecosystems. At Carolina Springs Middle School, we continually search for ways to add authentic assessments to our students’ learning experiences, and we feel this is a perfect opportunity to develop in this area. We would like to make the garden a focal point of our Annual World Language Night, which we celebrate during the spring. The vision is to have students make presentations to their parents in the target language that evening. Engage STEM students and their parents in constructing a water-efficient handicap accessible raised vegetable garden. Create a student-led collaboration between World Language Students, Special Education Students, and the students elected to the Student Government Association. Teach students the importance of recycling and the prevention and reduction of air, water, and land pollution. Teach the students the importance of a global conversation about land, water and air quality providing instruction in at least two target languages. Teach the reproducible skills embedded in learning how to grow plants and herbs. The best part of this project is that it involves parents of our students and gives them an opportunity to work alongside their children. On the other hand, the most challenging part of the project has been coordinating all the involved parties. I think the project will have lasting impacts on the students. We can accomplish our short-term goals within the school year, and the long-term goals will encourage the students to work together even as they move up to our local high schools. They can instruct and help our students keep the garden during the summer and winter breaks so we can continue working on the project year after year without starting from zero every time. My advice for a teacher or class wanting to start their own environmental education project would be to share, share, share! The main characteristic of this project is to transfer knowledge and techniques to the participants, so that they can apply them in the future without having to look for the teacher regularly. We want the teacher to become the facilitator and the student to take charge of the project. Teaching/Training is not a single direction, but a process of mutual learning and feedback, because nobody knows everything, but we all know something, and together we know a lot. It is important that we as facilitators have an open and tolerant attitude and that we are aware of the context in which we move. This entry was posted in Environment, Outreach and tagged Champions of the Environment, Conservation, Environment, food, land, Recycling on April 19, 2017 by SC DHEC. Pictured above: Former Bell Buoy Seafood Plant is now Bay Creek Park in the Town of Edisto Beach. The U.S. Environmental Protection Agency (EPA) has announced the award of $300,000 in supplemental funding to the South Carolina Brownfields Revolving Loan Fund (RLF) to help transform communities in South Carolina by cleaning up contaminated Brownfields properties. A Brownfield is a property on which expansion, redevelopment, or reuse may be complicated by the presence, or perceived presence, of contamination. The purpose of the RLF is to provide financial incentives in the form of below-market interest rates and limited debt forgiveness to help local governments, non-profits, and businesses undertake the cleanup of contamination from Brownfields across the state. 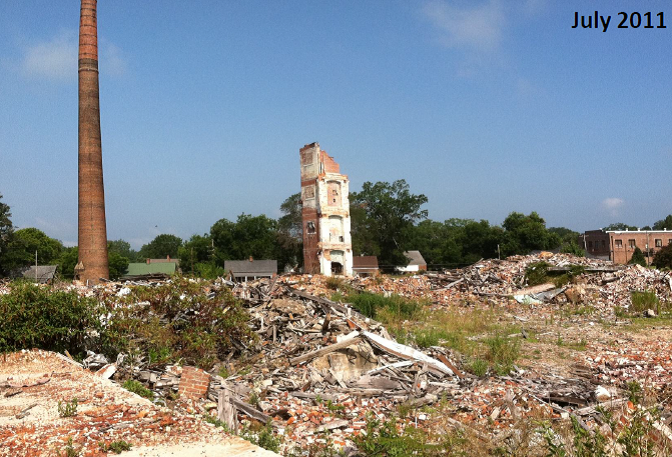 Before: Kitson Mill Brownfield site in 2011, one of the beneficiaries of South Carolina’s RLF program. After: Kitson Mill in February 2013 after the property was recovered and ready for redevelopment. Through these grants, EPA seeks to strengthen the marketplace and encourage stakeholders to leverage the resources needed to clean up and redevelop Brownfields. When loans are repaid, the loan amount is returned into the fund and re-lent to other borrowers, providing an ongoing source of capital within a community. South Carolina’s Brownfield RLF program has loaned more than $7.5 million to date to enable the cleanup of sites such as large textile mills, landfills, scrap metal yards and contaminated industrial and commercial property. 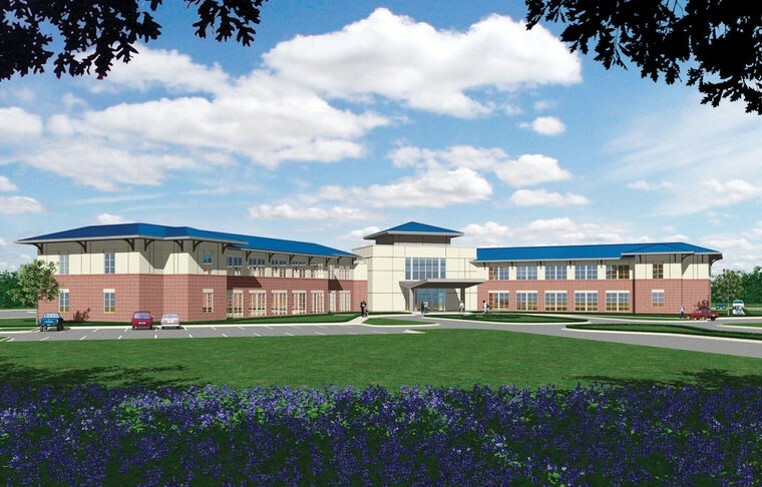 On these sites, new uses are emerging such as medical clinics, recreational parks, and shovel-ready, large-scale commercial and industrial sites in highly desirable growth areas. To learn more about the Brownfields RLF, please visit our website or contact Robert Hodges at (803) 898-0919 or hodgesrf@dhec.sc.gov. Before: Former Bush’s Recycling site before reclamation. 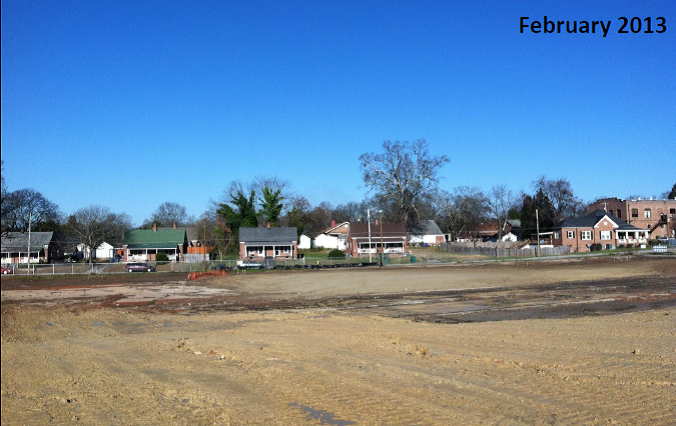 After: The former Bush’s Recycling Brownfield is now the new site for HopeHealth in Florence, SC. 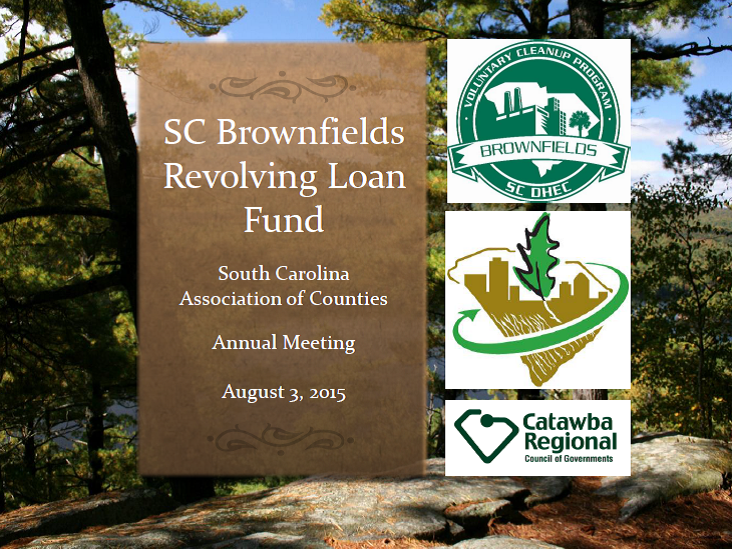 Click here to see a presentation on SC Brownfields recovery success stories. 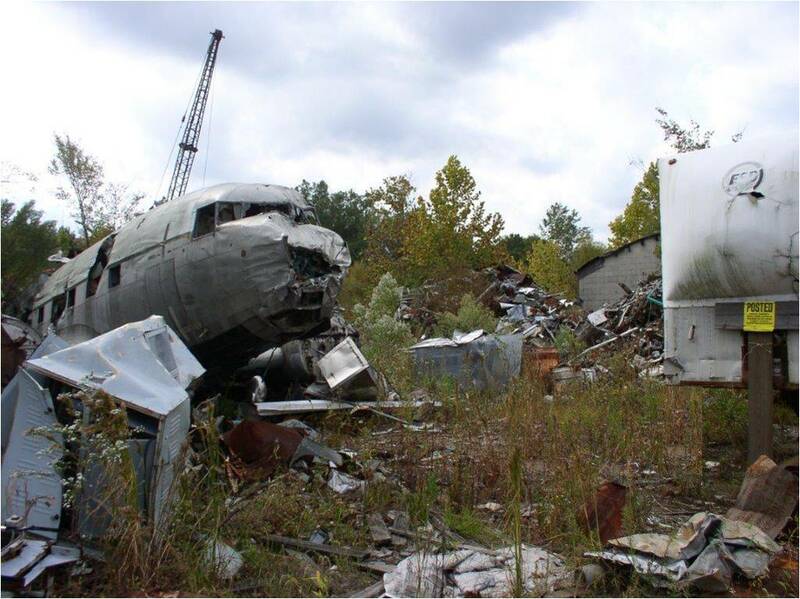 This entry was posted in Environment and tagged brownfields, Environment, EPA, land, landfills, pollution, Restoration on November 6, 2015 by SC DHEC.